We attended the school Christmas program tonight. It was one of the more unique ones I’ve ever attended… there is quite a bit to share, but my eyes started slamming shut an hour ago, and I really don’t want to stay up for another hour! I’m going to go snuggle into my bed, and hope to be roasty soon! It’s -4˚. I want warmth! Minus 4? Please tell me that that’s Celcius. The thought of -4 Fahrenheit is too awful to contemplate! Oh, heavens, -4 Fahrenheit is NOTHING. I’ve been here at -55˚ F… now THAT is something to complain about! If that adorable kitty lays an egg, you are going to be famous! Minus 4 degrees–Brrrr. Yes, snuggle up and get warm! 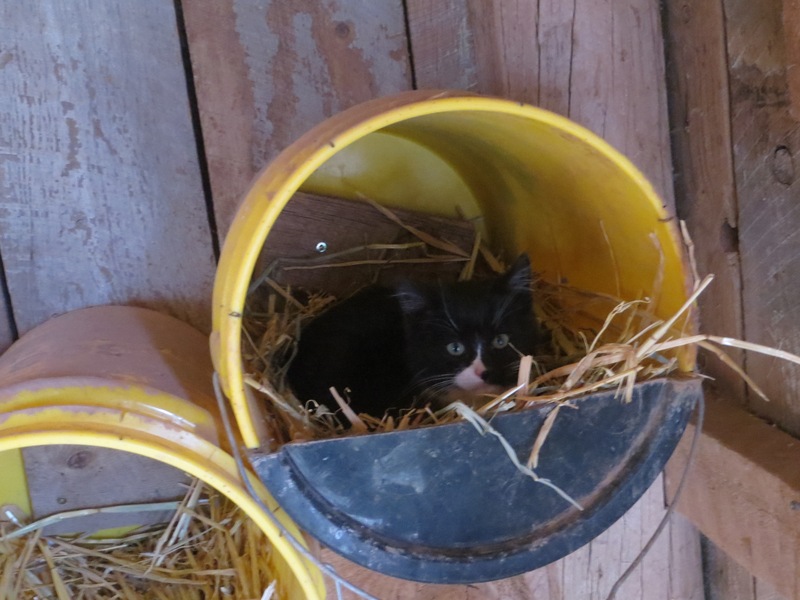 Is the kitty in the hen house where the hens nest? Just wondering. He’s cute!